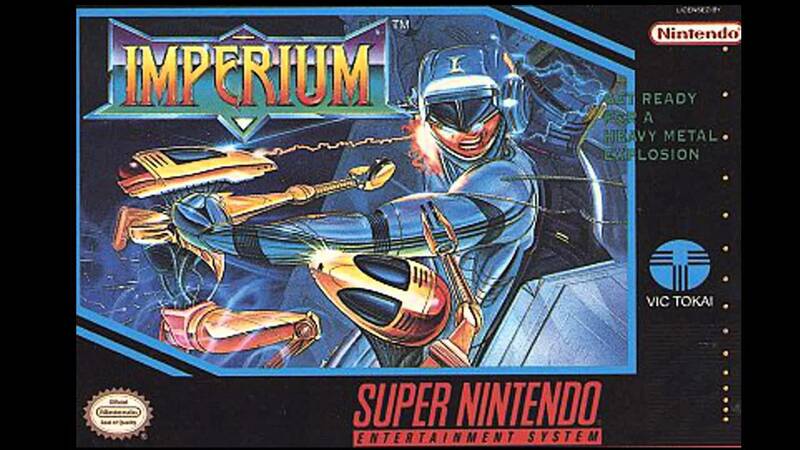 Imperium for Super Nintendo allows you to jump into the Dynamor, a suit of dynamic armor, and challenge the aliens. Blast them as they appear from the top of the screen. There is a variety of power-ups.